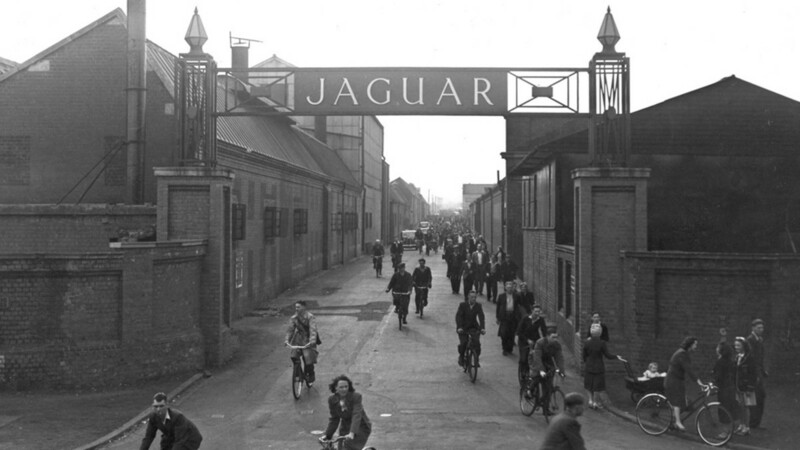 The Jaguar car is produced near Birmingham, England. Its history stretches back nearly eighty years. The company was bought by the Ford Motor Company in 1989. Tata Motors of India purchased Jaguar Cars Ltd. in 2008, and it is rumored it will move the manufacturing plant to India in the future. Sir William Lyons (1901-1985) was from Blackpool, England. His father was an Irishman who owned a musical instrument store. At age 17, Bill Lyons became an apprentice engineer at Crossley Motors, a company that produced cars, buses, and military vehicles in Manchester from 1904 to 1945. The next year, Lyons was hired as a salesman for Sunbeam Motorcars (1901-1976). By the time he turned 21, William Lyons had founded a company with his best friend, William Walmsley, to make motorcycle sidecars. In 1931, Lyons bought out his partner and began producing his first automobiles. 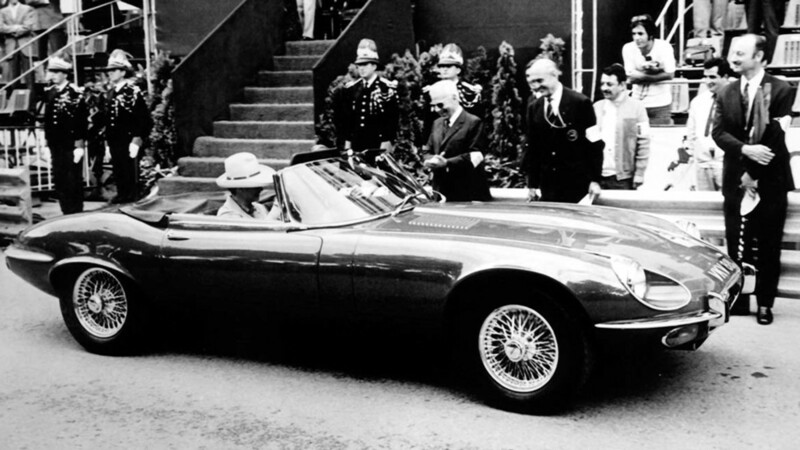 For over thirty years, Bill Lyons personally designed all of the Jaguar cars except the racecars and the E-Type, which were designed by the brilliant Malcolm Sayers. William Lyons was knighted by Queen Elizabeth in 1956 for his service to British industry. He was married for 61 years to Greta Brown, and they produced three children. The man known as "Mr. Jaguar" died at his home in Warwickshire, and his wife followed him to the grave one year later. 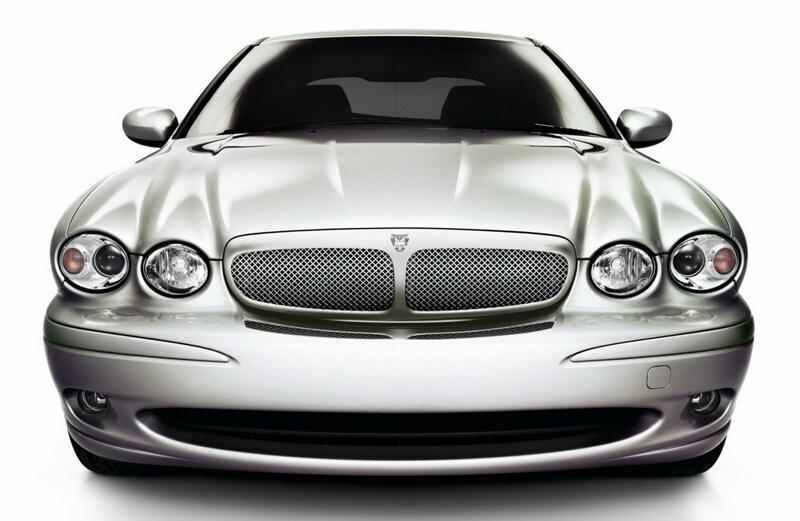 The original name of Jaguar Cars Ltd. was the Swallow Sidecar Company. The first automobile it produced was named the SS 1 (1932-1936), which would go on to sell 4,200 units—a great success for a startup car company in those days. The "SS" stood for "Standard Swallow." 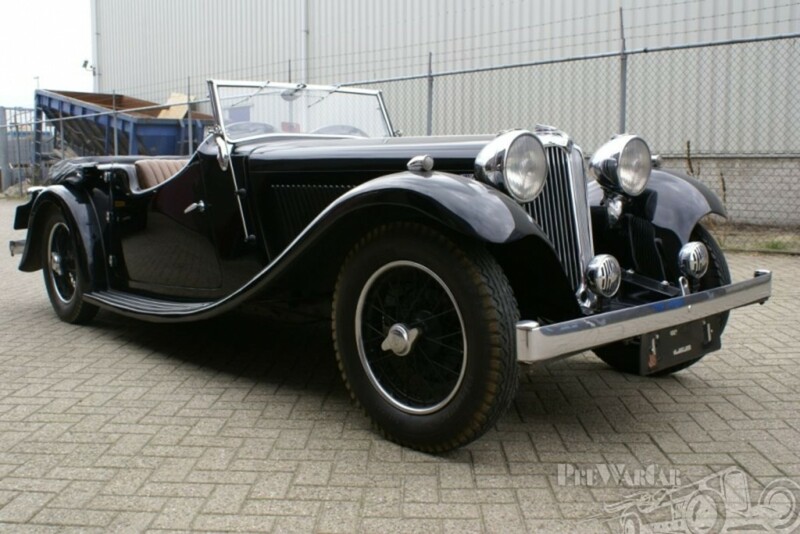 A new model came out in 1935 dubbed the SS Jaguar Mark IV. 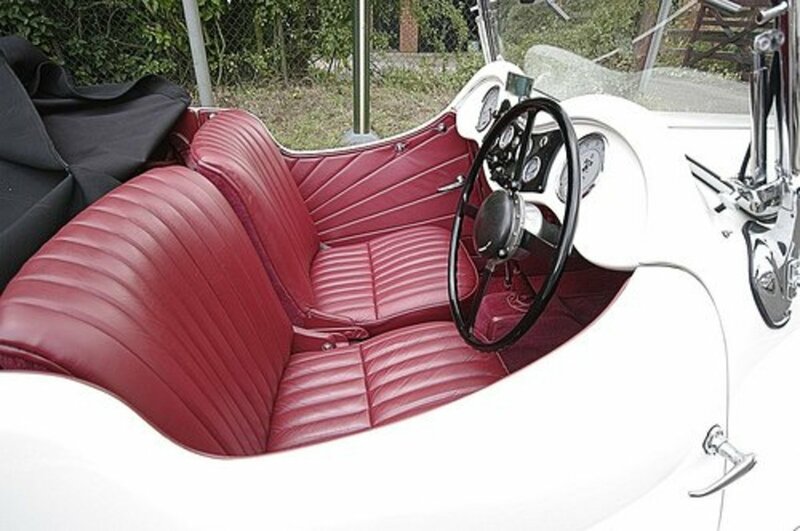 It was produced until 1948 in various versions, with over 20,000 sold. The company also produced a model called the SS90 (1936-1940) and a two-seat sports car, the SS100. Because the British public equated 'SS' with Nazis after World War Two, the name of the company was changed to Jaguar in 1945. From 1948 through 1951, 10,000 Jaguar cars were built of the model Mark V.
The Mark VII was next (1951-1956) and 31,000 of these were made. 6,000 of the Mark VIII Jaguar Car (1956-1958) were produced and the Mark IX (1959-1961) reached sales of about 10,000. 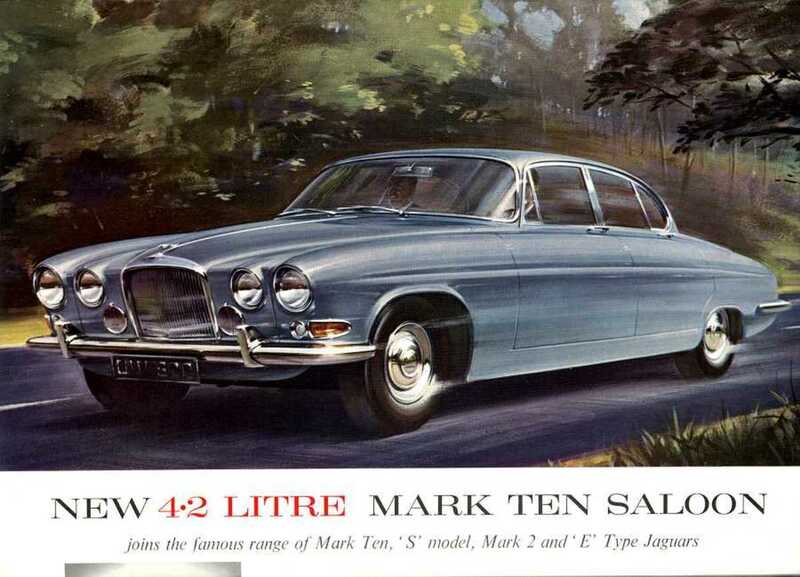 There was no major change to the style of Jaguar car until 1961, when Bill Lyons designed the all-new Mark X specifically to be marketed to America. This car had a ten-year run, with more than 25,000 sold. The flagship of the Jaguar car fleet is the XJ model, first introduced in 1968. 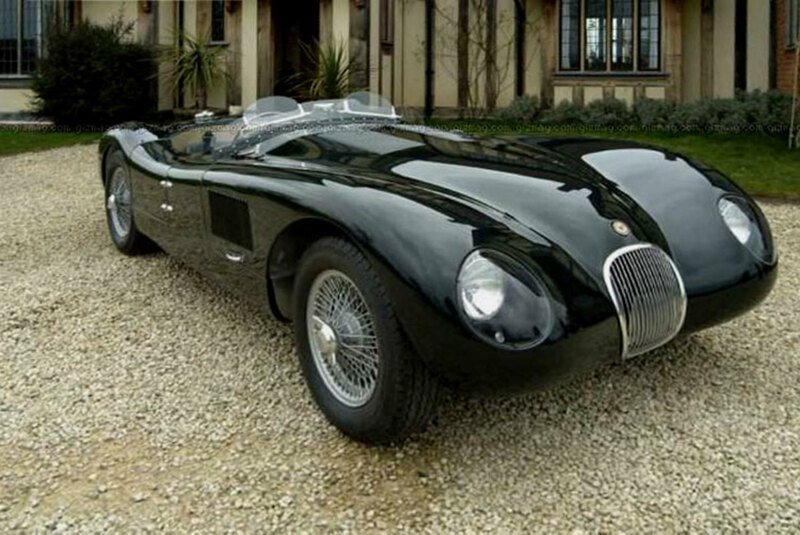 It was to be the last Jaguar car designed by Bill Lyons. To date, more than 400,000 of the Jaguar XJ have been built. 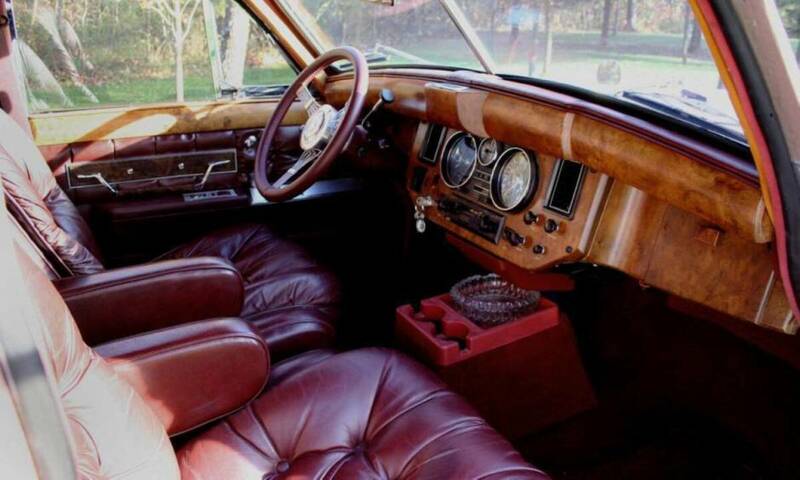 The XJ 6 sold 82,000 units from 1968 to 1973. In 1972, the new XJ 12 was launched that features the Jaguar V12 engine—the world's only mass-produced 12-cylinder four-door automobile. 14,000 XJ 12 models were made. It was the fastest four-door automobile in the world, with a top speed of 140 mph. 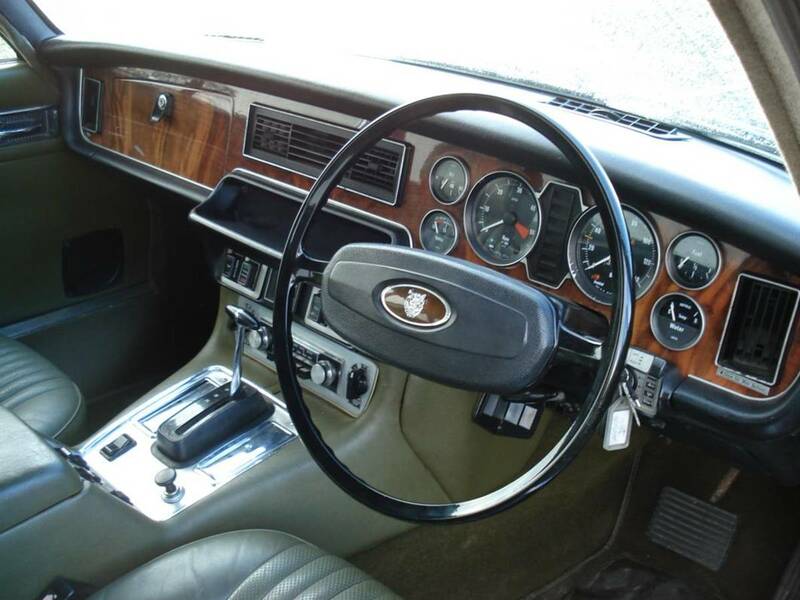 The XJ (Series II) was produced from 1973 to 1979, with 91,000 sold. These were the first Jaguars ever made that gained a reputation for shoddy workmanship. The problem is easy enough to discern. Labor unions in Britain had grown more and more powerful, and by the 1970s work rules had been forced on manufacturers that left no accountability whatsoever for job performance by employees. The same thing went on in America. That is why the Japanese were able to take huge chunks of the world automobile market—and the market for nearly all manufactured goods—since the 1970s. 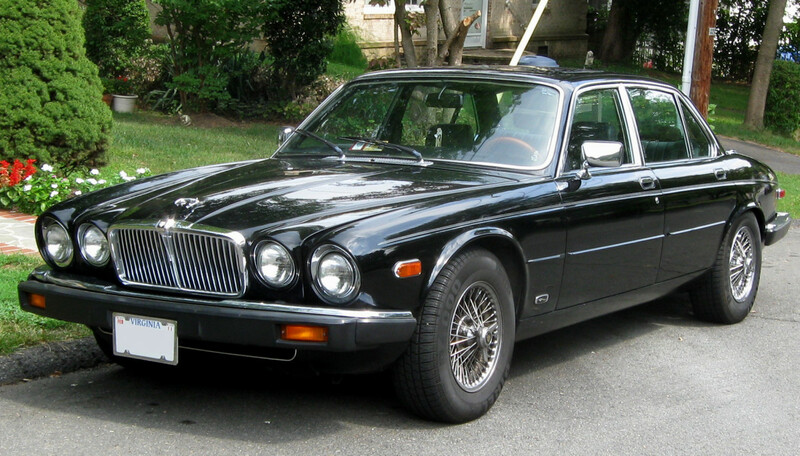 The redesigned 1979 XJ6 is thought by many aficionados to be the most beautiful sedan ever created. From that year through 1992, 133,000 XJ6 (Series III) cars were sold, including some 9,000 XJ Coupes (two-doors). The last Jaguar V12 engine rolled off the assembly line in 1997, the same year that saw the end of the XJ6. It was time for something new from Jaguar. The XJ 8 made its debut in 1998. It featured a new V8 engine, which has become renowned for its excellent performance and dependability. In 2003, the first all-new XJ model since 1986 was unveiled. Its body was of all-aluminum construction, which makes it very light (4,000 lbs.) compared to the competition in its class, even though it is the largest, most spacious Jaguar ever created. In 2009, the all-new, completely restyled XJ hit the market, a car that is much larger still—both longer and wider. 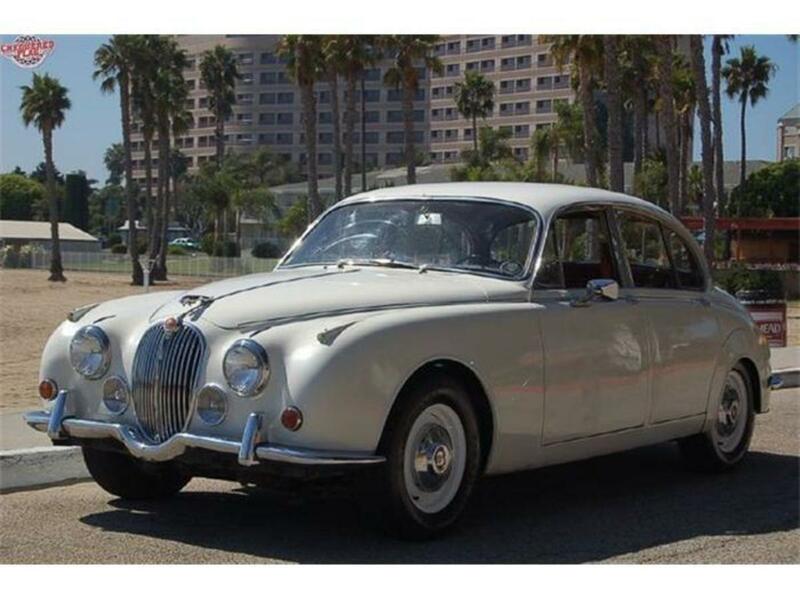 It should be noted that from 1955 through 1969, Jaguar also built well over 100,000 mid-sized cars, mostly known as the Mark I, Mark II, and the 420. 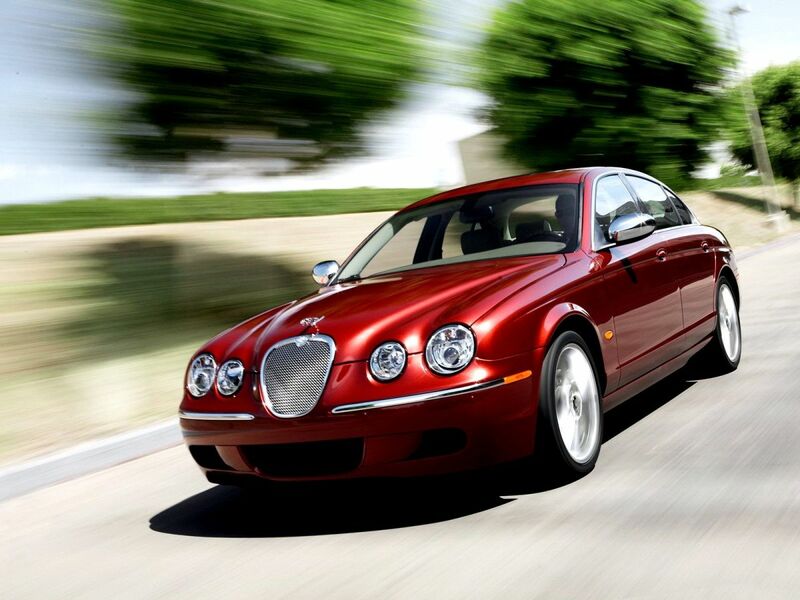 Thirty years went by before Jaguar reentered the mid-size luxury sedan market when it unveiled the S-Type in 1999. The S-Type shared its platform with the Lincoln LS (I once owned one of each of these cars but not at the same time). As with the XJ and the XK, the S-Type was also available in an "R" model with a supercharged engine. 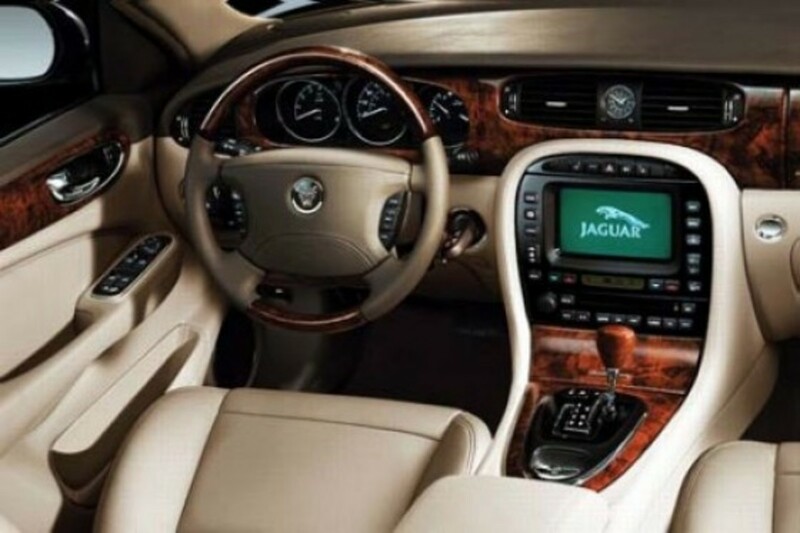 The S-Type was discontinued after 2008 when it was replaced by the widely admired Jaguar XF. The XF has won nearly every prestigious automobile award known to man. From 2001 through 2009, Jaguar produced, for the first time, a compact car—the X-Type. Though 350,000 of these cars were sold, it was considered a disappointment to Jaguar, which had anticipated selling twice as many. Besides producing automobiles for consumers, Jaguar has a long history in auto racing. In the 1950s, Jaguar racecars won the Le Mans 24 Hour race five times; twice with the C-Type ("C" stood for "competition") and three times with the D-Type. The Le Mans is the world's oldest endurance race for sports cars. The C-Type Jaguar was produced from 1951-1953. In 2009, one sold at auction for over $2.5M. The Jaguar D-Type (1954-1957) is justly famous for being the first automobile designed with aircraft-style engineering for aerodynamics. The D-Type took five of the top six spots in the 1957 Le Mans race. The most recent sale of one was in 2008: it fetched almost seven million dollars! Jaguar left the racing scene for a few decades. But in 1988, Jaguar once again won at Le Mans with the XJR-9; and in 1990, a Jaguar XJR-12 won the race and another finished second. Jaguar has also produced some limited-edition race cars for public consumption. Fifty of the mid-engine Jaguar XJR-15 were sold from 1990-1992 for just under a million dollars each. 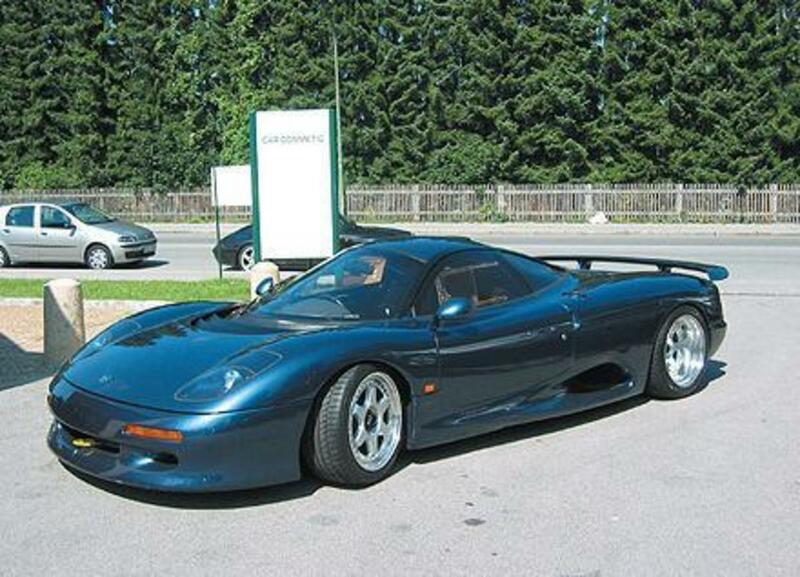 281 of the mid-engine Jaguar XJ 220 "Supercar" were sold in 1992-1994 for around $650,000 each. At 7' wide it is the widest Jaguar car ever produced. And it was the fastest street Jaguar with a top speed of 217 mph. 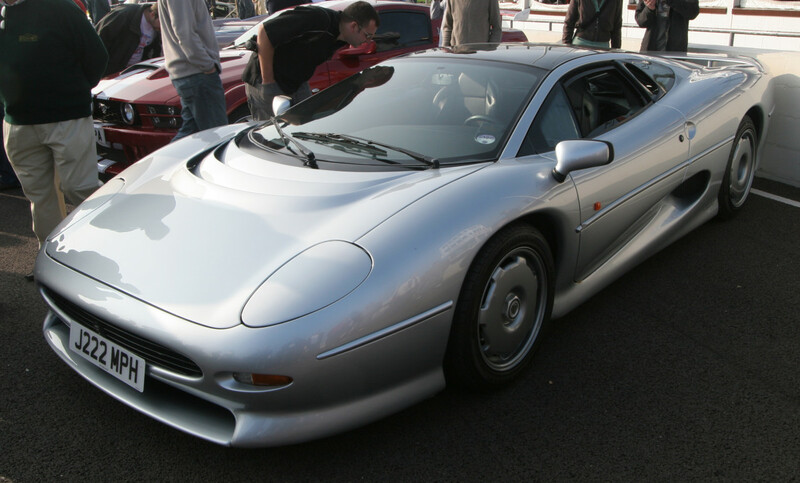 It was and is illegal to drive the XJ220 on the street in the United States. In 2013, Jaguar will produce 250 of a new limited edition race car for sale to the public, the C-X75. The C-X75 will have 778 horsepower and the price tag? $1.5M. The Jaguar Car Company made a big splash in 1948 with the introduction of its new sports car: the XK120. By 1954, 12,000 of the XK120 had been sold. It was superseded by the XK140 (1954-1957), and the XK150 (1957-1961). 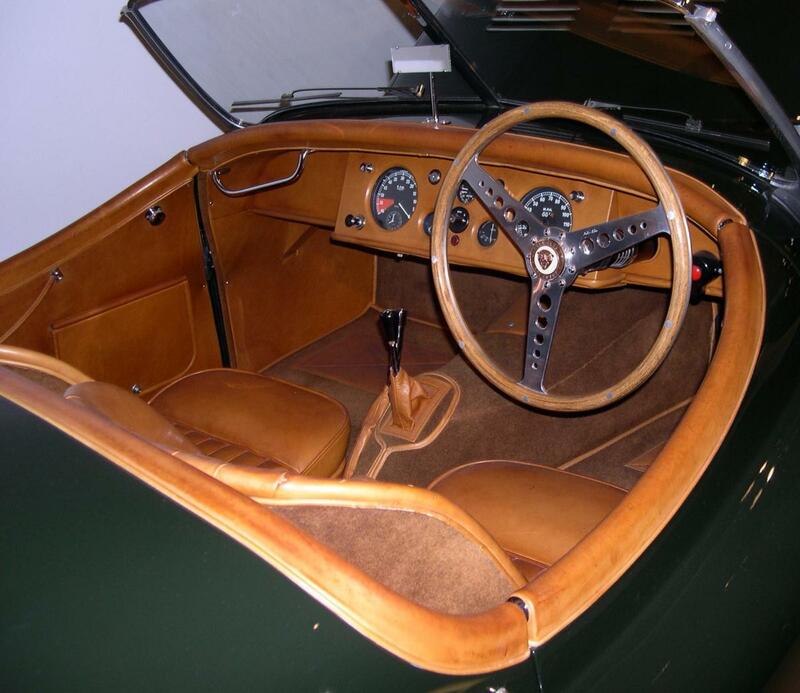 9500 of the XK150 were built before Jaguar decided to start from scratch with the legendary XKE in 1961. 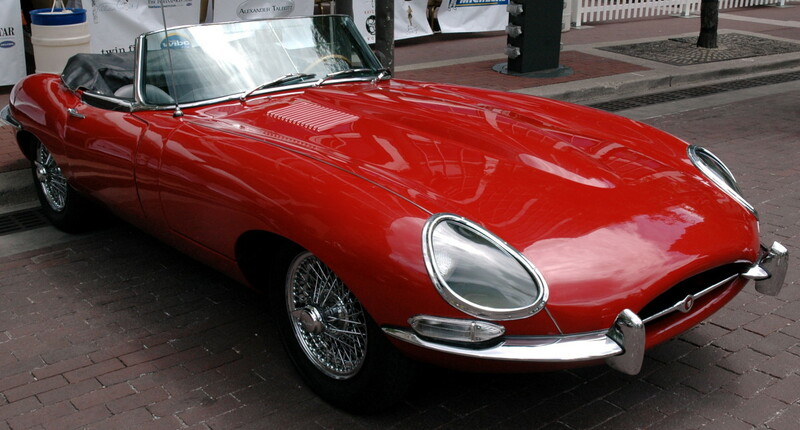 The Jaguar XKE was called "the most beautiful car ever made" by none other than Enzo Ferrari. 70,000 of these internationally iconic sports cars would eventually be produced. Many car enthusiasts still today consider the Jaguar XKE the most beautiful car in the world. It is one of only six automobiles honored with a permanent display—as a work of art—by the Museum of Modern Art in New York City. 38,000 of the Jaguar XKE Series I were made from 1961-1968. They are distinguished by open headlights with a glass cover. 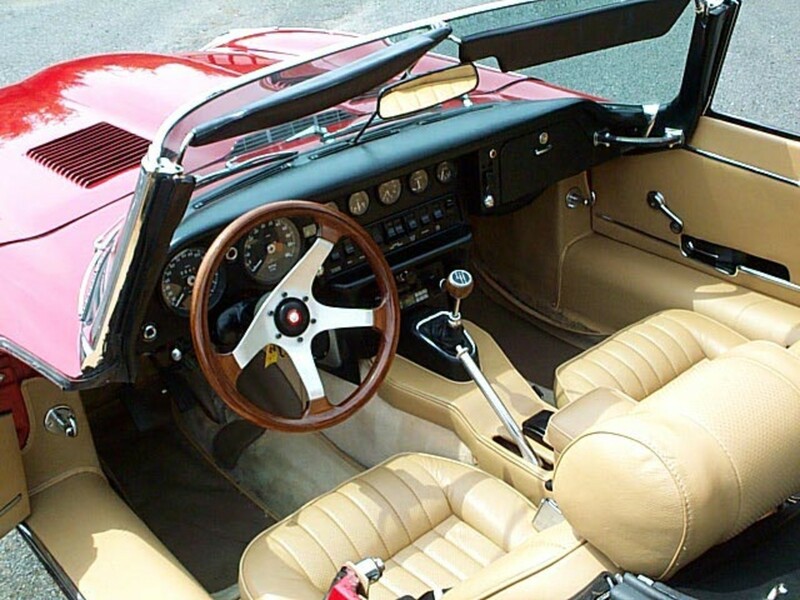 The Jaguar XKE Series II was produced in 1969-1971, selling 19,000 units. It has open headlights without a glass cover and a much larger "bass-mouth," for which Jaguar sports cars have been famous. The Jaguar XKE Series III (1971-1975) produced 15,000 sales. It has the V12 engine. 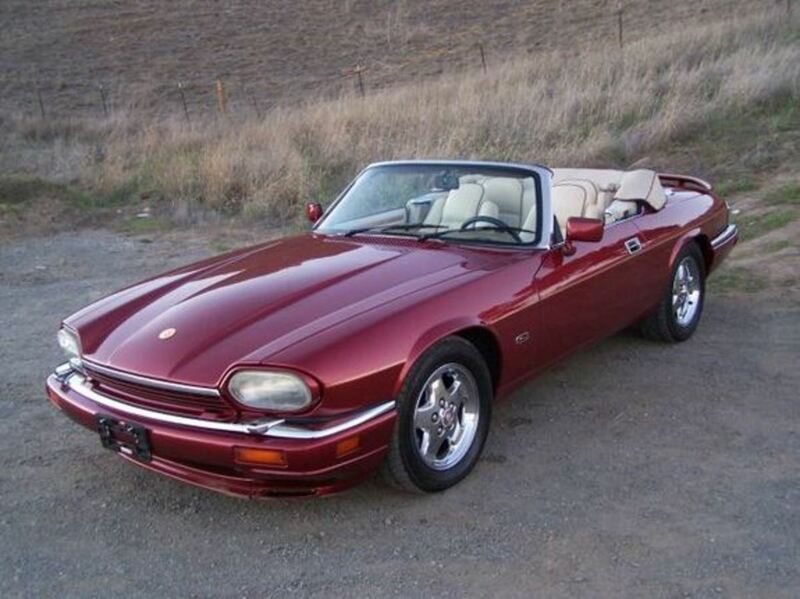 From 1976 to 1996, the new Jaguar sports car was the XJS. 88,000 of them were built with the V12 engine; 27,000 were also sold with a V-6 engine. The car is of the class known as "Grand Tourer." 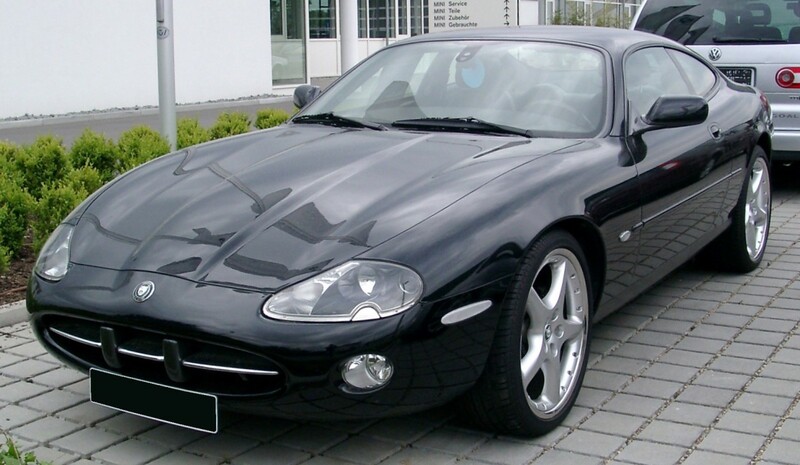 In 1996, the Jaguar XK was introduced. 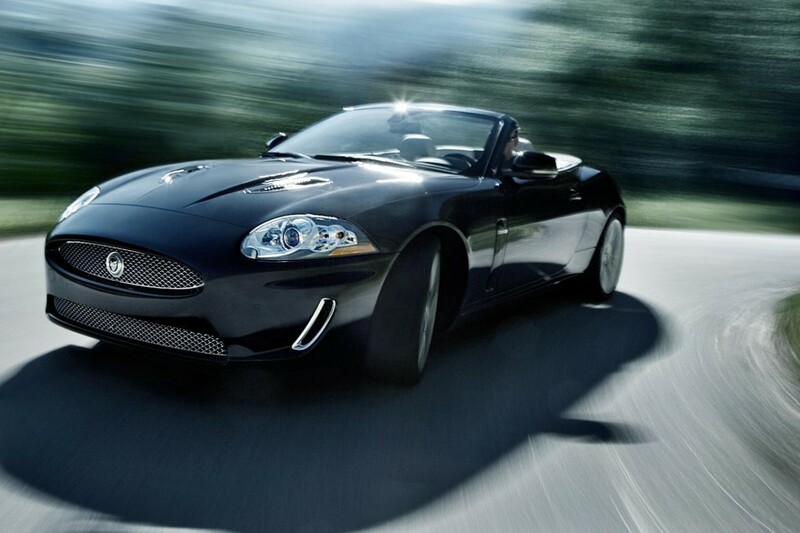 The XK would become the best-selling sports car in the history of the Jaguar Car Company. In 2002, 500 of a special edition XKR 100 were built to mark the centenary of Sir William Lyons. 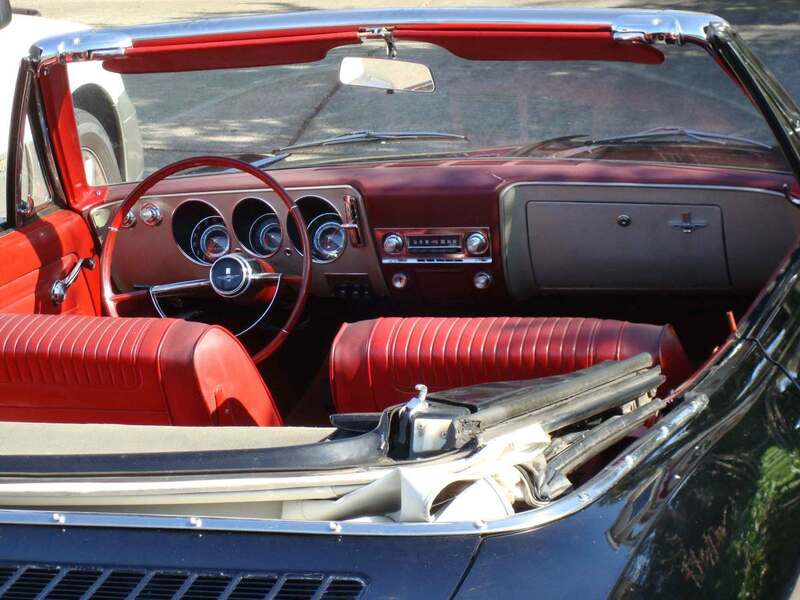 The vast majority were convertibles but 69 of them were hardtops, of which your author owned one. The XK was redesigned in 2006. Though it can go much faster, it is electronically limited to a top speed of 155 miles per hour. We can thank Ian Callum for the design of the XK, the XJ, and the XF. 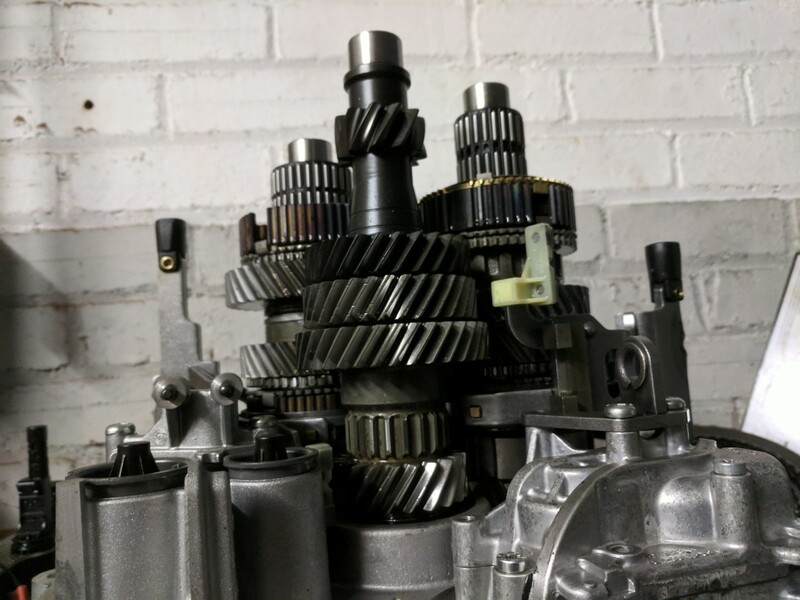 And we should mention William Heynes who created the Dual Overhead Camshaft inline-six-cylinder engine that and the longest run of any car engine: 1949 to 1992. This was a big part of the success for the Jaguar car as it had a useful life of 200,000 miles. Thomas ~ You are quite welcome. Thank you for taking the time to read my article. You are a lucky man to have that XK-8. I wish I did. Really a good article. Thank you. I am glad you liked it Michael-Milec! Thanks for checking it out. mechanicsguy~ Thank you for saying say and thank you for reading my work here. Silva Hayes~ Thank you ever much for your kind compliments. I appreciate you taking the time to read my article. The XKE is close to my heart. I love the Jaguar XKE . . . I've always longed to own one and somehow I never did. However, I did drive one once. Fabulous. Great hub; I learned a lot and I'm passing it on to my husband to read. Voted Up. daveyboy1957--- Wow. You are an automobile expert, my friend. I am amazed at your level of knowledge. Oil consumption and electrical problems. Great stuff. I have read that the labor unions in Britain, much like those in America, grew so powerful that by 1970 the work rules were such that the workers got lax and lazy, quality suffered, workmanship got shoddy, and the cars after the 1960s did in no way compare to the earlier efforts. I appreciate this visitation from you. I enjoyed your terrific comments. Thank you for the gracious compliments. sorry for not reading the many posts here so I am not sure if someone touched on this already. Here in the USA the Jaguar received a "Black Eye" due to the engines consumption of oil. From the time they were new they chugged oil at a rate unequaled. From what "Jaguar Mechanics" have told me this was why they used an 11 quart oil pan for their 6 cylinder engines. They were designed to consume oil as a means to insure the engines valve train received proper lubrication. Something about the lack of valve stem seals allows traces of oil to "drip" into the combustion chamber. This is supposedly how the vehicle owner knows the engine is getting the required "lubrication" for the valvetrain. 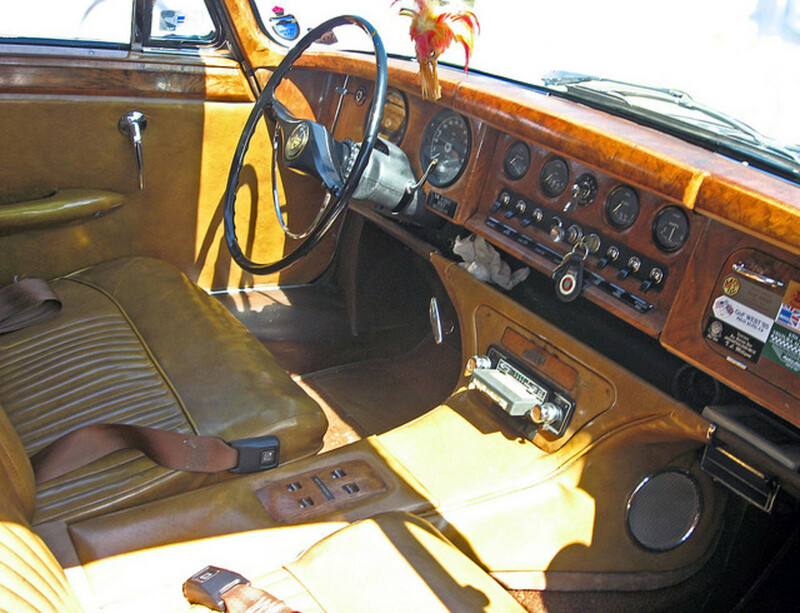 They have always been high quality vehicles with luxery touches such as the "Birds-Eye" Maple and Burl Ash woods and the Connelly hides and even the Carpeting was first class. The only flaw I have found with Jaguar and by extension with all English vehicles is their electrical components. Smith Guages are notorious for failure and problems and Lucas is only somewhat better. Great History lesson from you. Keep up the GREAT work. 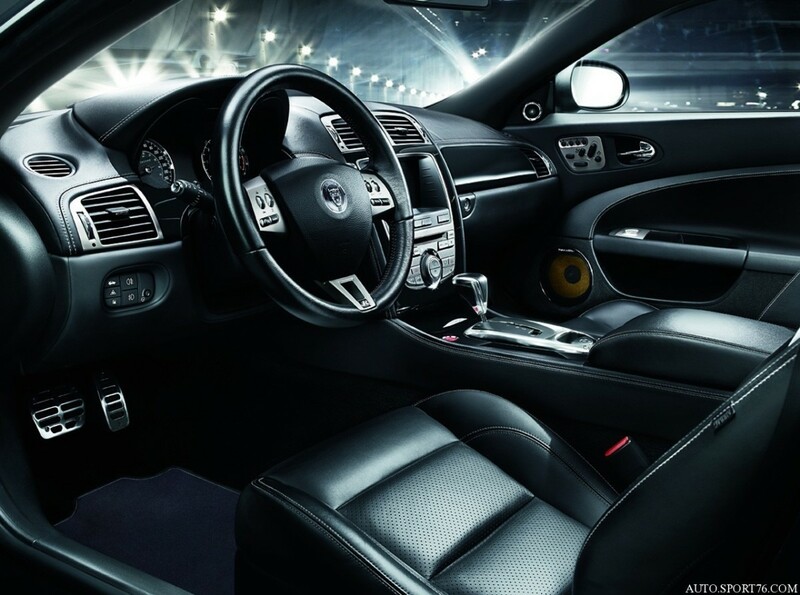 THE GERMANS LED THE WAY WITH QUALITY DESIGN ENGINERING AND RELIABILITY. Paul Baker— Greetings to the man from Winsford, UK. Thank you for taking the time read my article about the history of the Jaguar Cars. I appreciate your excellent and thoughtful comments. I enjoyed your interesting remarks. Thanks again for visiting. Leyland cars were a load of junk good at two things breaking down and rotting away, they were still bad in the 80's when THATCHER was in power. a friend of mine Guy Bennet was a mechanic for the police, he used to drill holes in the boot trunk to let water out of them. it held water like a sieve!!! Luis— 52 of the C-Type were produced from 1951-1953. 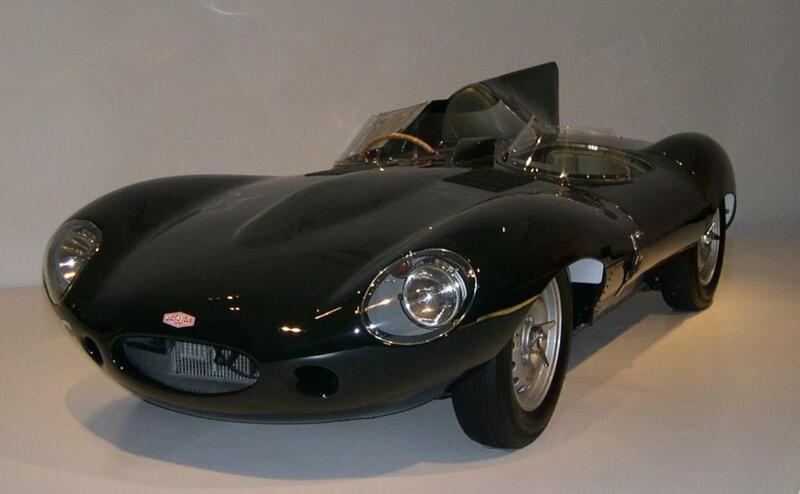 87 D-Type Jaguar were produced from 1954-1957. Thank you for visiting my Hub. And you are most welcome. Darrel W. Johnson— Thank you very much for reading my article. I appreciate your comments. What a wonderful drive home that must have been! That sounds like a great car your son sold you. Enjoy it. I just purchased a 1996 Jaguar XJS convertible from my son in Oregon last week and drove it 1700 miles to Minnesota. Had a little trouble the first day, blew a radiator hose and an A.C. hose. Averaged 21.8 MPG and had a great trip the rest of the way. My son gave me a great deal on the Jag with the promise never to sell it. I LOVE THE CAR AND I PROMISE!!! jsasson— Thank you for reading my Hubs. I appreciate the visits and your comments. The XJ 6 is a cool car. I look forwaqrd to reading some of your Hubs. had an xj6 a while back. I'd love to see a Jaguar version of a Miata, thought they were coming out with a small sports car like that a while back . Kent Clarke— Thank you very much!! Welcome to the HubPages Community. angelahickman@yahoo.com— I would run ads in the LA Times on line, and in the Autotrader magazine. Another idea is an ebay auction. But perhaps the first thing I would do is contact the Jaguar Club of America. People who love, collect, and restore Jaguars belong to that organization. Good luck! 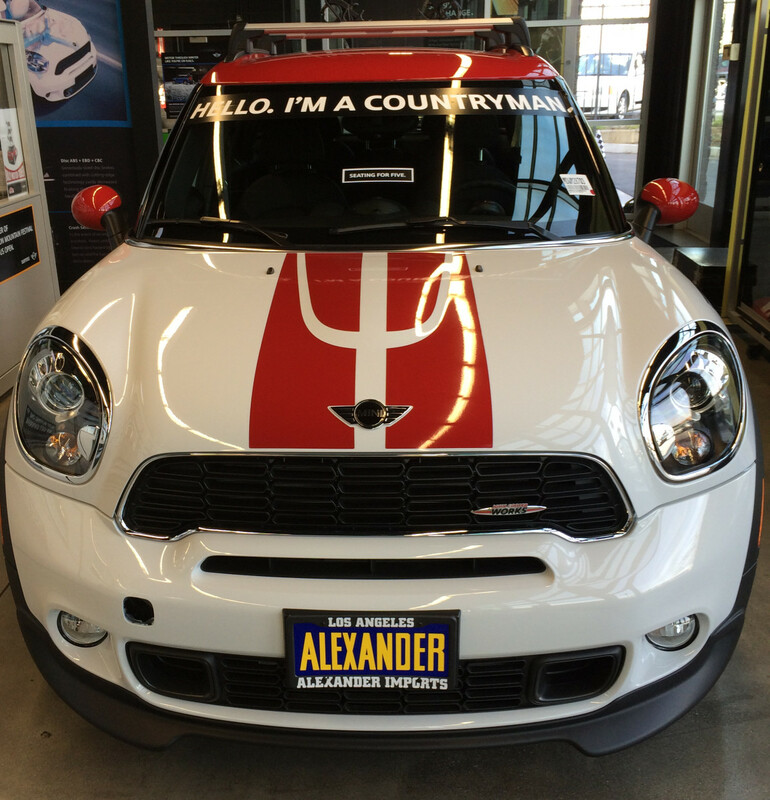 The Car is in Southern California. In Apple Valley. I'm in Northern CA but have someone there that can show the car. angelahickman@yahoo.com— You are quite welcome. Where roughly are you located? In the US? In the Midwest? ebay might be a good place no matter where you are. I might have other ideas based on the location of the car where people can come to look at it. Thank you for your response. Do you know where the best place to sell it would be? We are trying to help my Grandma and none of us really have a clue how to go about getting the car sold for her. angeladhickman@yahoo.com— That is awfully hard to say. One in immaculate condition with 54,000 miles on it can be had for $95,000. With a car such as that, condition and how much of it is original equipment, and how many miles are on it make a huge difference. It runs—thats good. I see one sold for $75,000 recently but it was very clean. I see one sold for $17,500 that was rough looking. 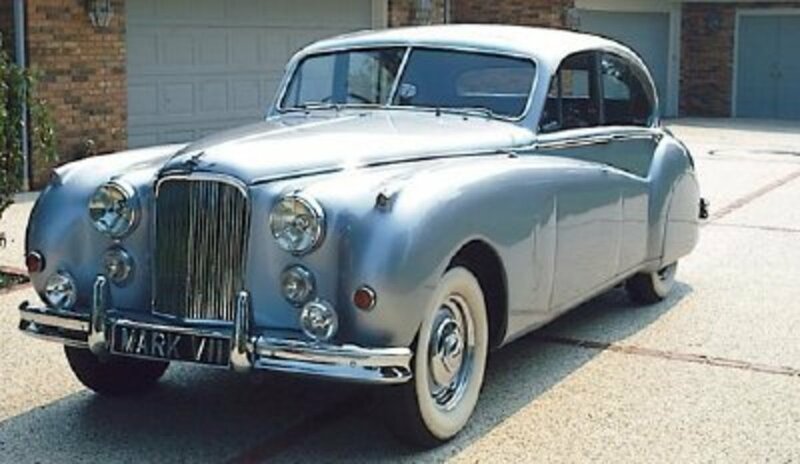 My Granddad (who has recently passed) has a 1952 Jaguar Mark VII. Does anyone know what this car is worth? Its not in the greatest shape but does have all the original parts and it does run. I am DB Cooper— Welcome. Thank you for swinging by to take a look at my gallery and article about the Jaguar cars. Many a purist feels the same way as you about the newer Jaguars. I appreciate your comments. I am glad that you stopped in. I love old Jaguars, but not so much the newer ones. The rebadged Fords are just terrible and a disgrace to the brand. The XKE and XKSS (the road version of the D-Type, Steve McQueen famously owned one) are my favorites. This is one beautiful car. Great hub, and breath taking pictures. God Bless You my brother, and your precious family. marcoujor— I so appreciate your voted up and UPBI! Thank you for considering this Hub worthy of your Bookmark. Deb Welch— I think Mick Jagger did indeed own a few Jaguar cars. Awesome hub, sporty, yet classy car! : ) Love this one, the photos and the car. Makes one dream, doesn't it? ahhh! Voted UP & UABI. All my best, mar. 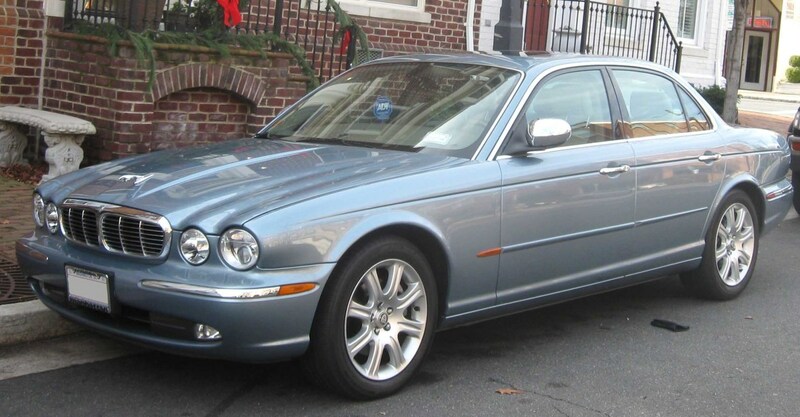 My brother has a 2004 XJR Jaguar (Ebony) - he is crazy about it and me - not so much. I like my 07 Toyota. Well written history Hub - great photos. 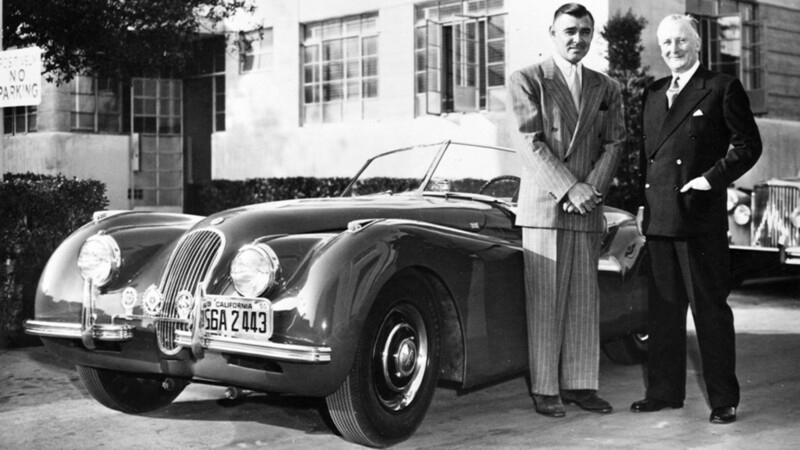 I never knew Clark Gable had a Jag - I could see Mick Jagger owning one. GmaGoldie— Awesome! The Jaguar is my favorite car too. I hope your husband enjoys this article, and the gallery of gorgeous machines. You educated me about that car show through one of your Hubs and I do plan to attend next April (I think it is). This is one of my husband's favorite cars! I will be sure to share this with him. 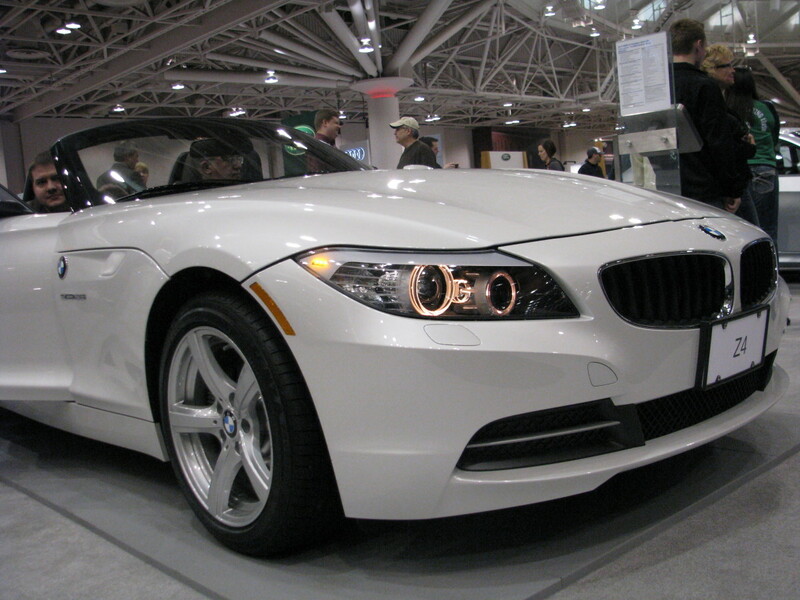 And yes, you must attend the Midwest Car Show - Classics and Chrome. Another fine and fantastic hub my friend. kashmir56— Hello there! You are quite welcome. I am well pleased that you enjoyed this piece. The older Jaguars have a certain charm that might be missing today. ubanichijioke— Thank you, kind sir. I surely appreciate the "voted useful and awesome" as well as your blessings. I am glad you enjoyed the tour, the history, and the photographs of the Jaguar car. God Bless You. "I think the combination of Sir Lyons musical background and love for fine automobiles produced a car that sings." What keen discernment you have! Gosh, you have made my day with your gracious accolades. "Gift of the Pen." I love it! Cogerson— Thank you very much for the voted up and awesome, as well as the laudations. Yes, the 2011 Jaguar does indeed jump off the page. I am glad that you enjoyed this Hub and mentioned your appreciation of my photo selections. Jaguar has always made fantastic cars. Polly! Great to hear from you. Thank you for your gracious compliments and the voted up and across. prasetio— You are quite welcome. I did go to read your Hub on Supercars and it is fabulous! Thank you very much for the accolades, as well as the voted up. I appreciate it each time to visit one of my humble Hubs, my friend. God Bless You! H P Roychoudhury— Thank you for your thoughtful, insightful comments. I see that the "Nano" only costs $3000!! That is amazing. I was just now reading up on Tata Motors and was surprised to see that they also have manufacturing plants in Argentina, South Africa, Thailand and the United Kingdom. Fascinating. It is always a distinct pleasure to hear from you, my friend. I would say that your husband has impreccable taste. The XKE still looks magnificent today. And yes: those old Jaguars are quite loud. I had to forward this to my nephew who loves Jaguars. Great photos and history. 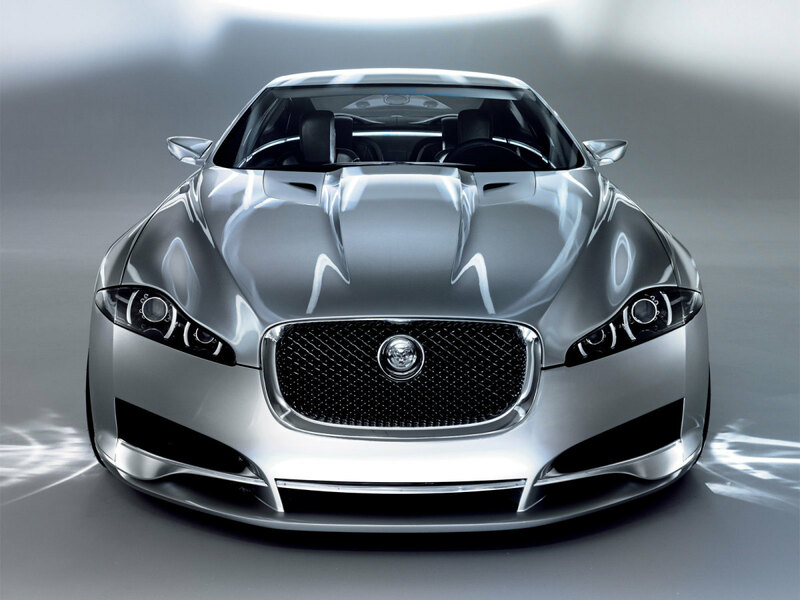 Hi James, thanks for sharing this well written hub about the beautiful Jaguar car i enjoyed reading it . I like the older Jaguar cars better then the new ones . Have a great weekend my friend !!! JT Walters— I don't know if I told you this, but I left Florida two years ago after 18 years as a Floridian. I see that is where you are from. Thank you, JT, for the compliment. I am glad you enjoyed the Hub. 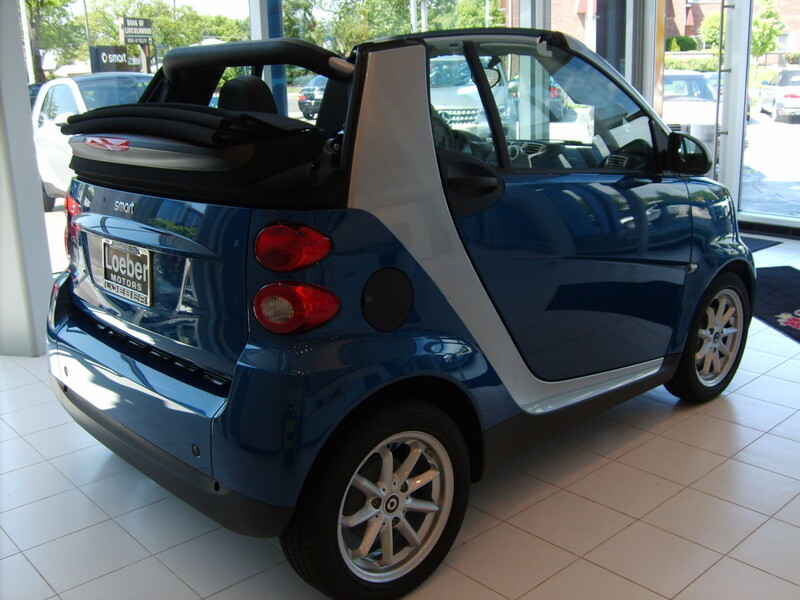 funmontrealgirl— I enjoyed your sentence: "At the time you kind of needed a mechanic in your trunk." Funny! But that was true back in the day. Sunshine625— John's planes are old, from the 60s. They are just like having a classic car. In good weather, he will take one out and fly it around to keep it loose. But when he and his wife and children fly around the world it is my Dad who is flying them; many times John sits in the co-pilot seat; sometimes not. My Dad was with them when their son died. James A Watkins, This is incredible! I find it interesting how skillfully and adroitly you are able to take any subject and make it so very interesting! You most certainly have a “Gift of the Pen!” This is another marvelous lesson Professor! Spectacular presentation! I now know why I have always liked the Jaguar! 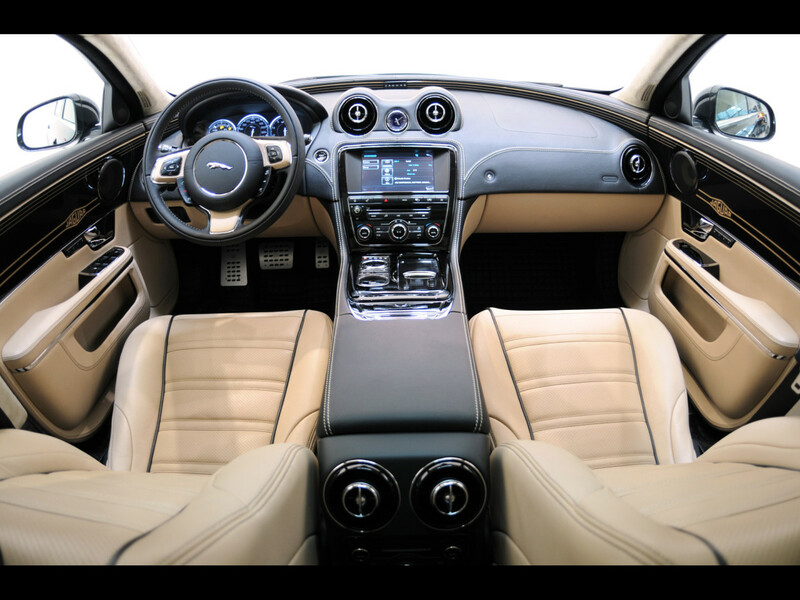 “The Jaguar car is world famous for its stylish designs; thrilling performance; luxurious and comfortable interiors; outstanding handling and ride; quality engineering and state-of-the-art technology. 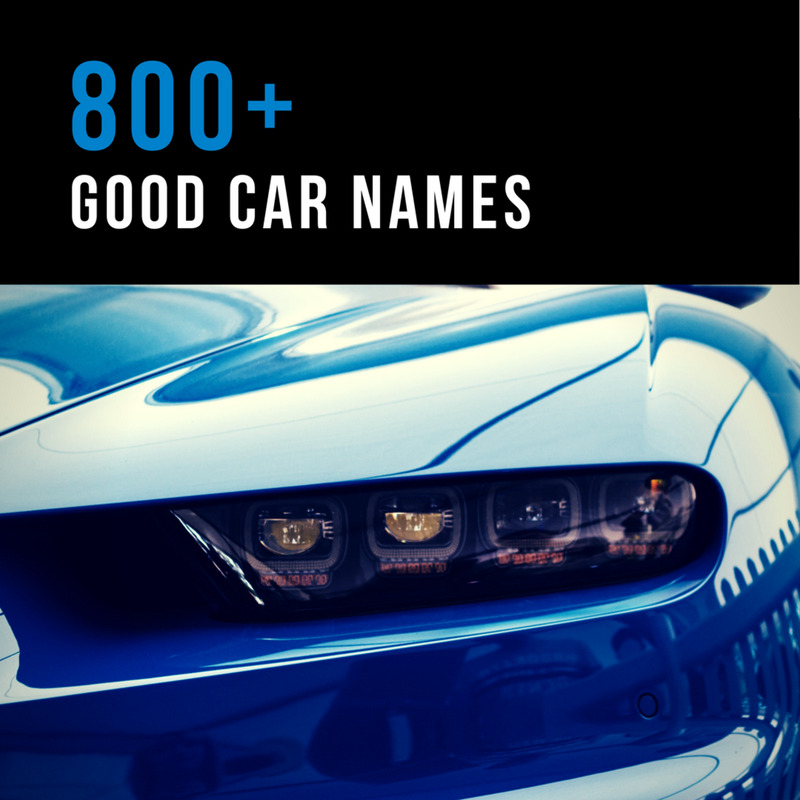 No other automobile manufacturer has been as remarkably successful at creating both the world's finest luxury sedans, as well as some of the world's most beloved sports cars.” It truly is a well crafted, secure automobile! I think the combination of Sir Lyons musical background and love for fine automobiles produced a car that sings… It is a gorgeous automobile! Fantastic hub on a fantastic car. I really enjoyed reading the history of the Jaguar...as well as the awesome photos you attached to the hub. The picture of the 2011 Jaguar really jumps off the page. Maybe one day when I get all these kids out of the house....I can think big like I used to do before I got some many responsiblities. Voted up and awesome. I love them too but would never have one and not only because I can't afford one, lol. I did a big study of cars years ago I think because my husband always said ask Polly what car she likes best and she will say the red one! That is about true and since I have forgotten all I learned it still is. Accept I like the pale yellow ones now! Great hub James, as always, up and across! Wow..... this was so beautiful and you make it very complete. I love your review and all stunning pictures of Jaguar from time to time. I wish I could have this one...amen. Well done, brother. You had never cease to amaze me with wonderful hub. Vote up as always and God bless you. Ps: I just wrote about "supercar compilation", if you don't mind you can check my hub. Thanks! It delighted me to know the historical background of Jaguar Car. As an Indian I feel proud of, to know that Tata Motors of India purchased Jaguar Cars Ltd. in 2008 and the rumored that it will move the manufacturing plant to India in the future is proved to be false. The Ratan Tata, the great entrepreneur is a man of innovation, who tried his best to produce a small Car “NANO”, the lowest ever prized in the world. Now it is in the market in India and abroad as well. "Many car enthusiasts still today consider the Jaguar XKE the most beautiful car in the world." My husband is one of those people who would agree. Great Jag pictures. I drove on back in the 1990(s) and it is a luxuriuos car. Some awesome Jags here. My uncle had a Jaguar back in the 1990s. At the time you kind of needed a mechanic in your trunk. But things have come a long ways. James - I never paid much attention to Jaguar cars until the series The Equalizer came out. I was hooked on the show, hooked on Edward Woodward, and I soooo loved his wheels!! I loved the history of the company you provided in the hub, and the photos were great! Personally, I believe I'll always prefer to drive a truck, but the Jags are still make for impressive eye-candy! Sunshine625— That is a great story. By the way, my father is John Travolta's pilot. Thank you so much for the accolades! I am glad you enjoyed this article. And I appreciate the visitation. cljonesmusic— Thank you very much for the voted up and the lovely laudations. 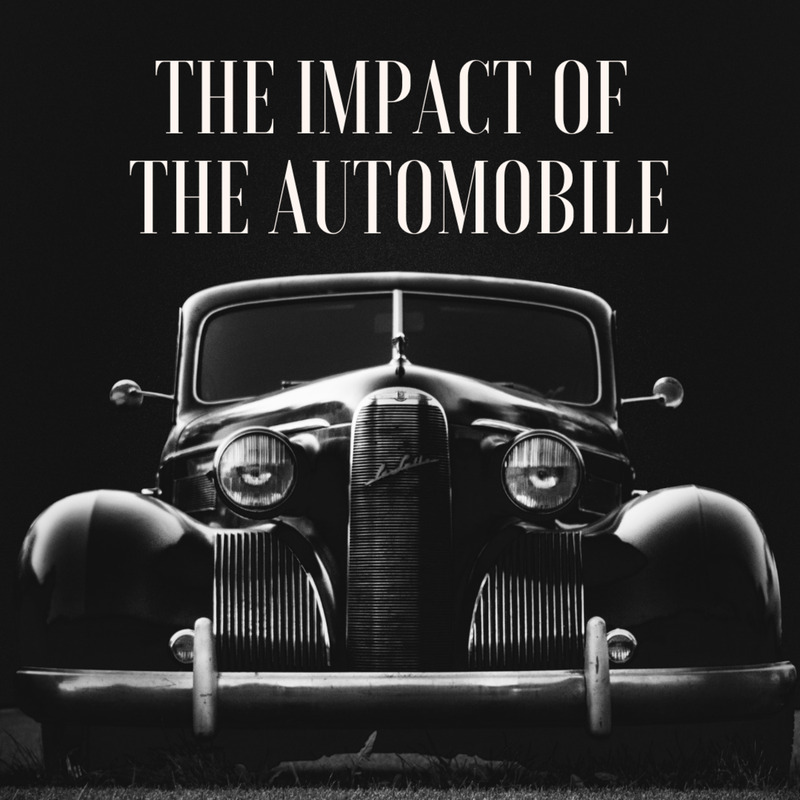 I agree with you that the styles of cars have become homogenized in the last couple decades. Along with a whole lot else in our world. I like your comments. And I agree with you. Paraglider— You know, I had a feeling I might hear from on this one. Nothing wrong with a Mercedes. That is an interesting story. Red Jaguars. Gotta love 'em! Sueswan— Thank you for the voted up and awesome! I am glad you enjoyed this Hub. How interesting that you have a model of the 1936 SS 100. I surely appreciate the voted up. And I enjoyed reading your thoughts. Thank you for coming by to visit and view the gallery of Jaguars. drbj— Thank you for coming to see me. I hope Sir William would approve of this truncated version of the history of the Jaguar car. I just love what you said: "they almost look like they are speeding while standing still." Trish_M— Hello! Nice to "see" you. Thank you for that link to the Jaguar Heritage Museum. I would absolutely love to visit. Maybe one day I will be able to. I appreciate the visit and comments. 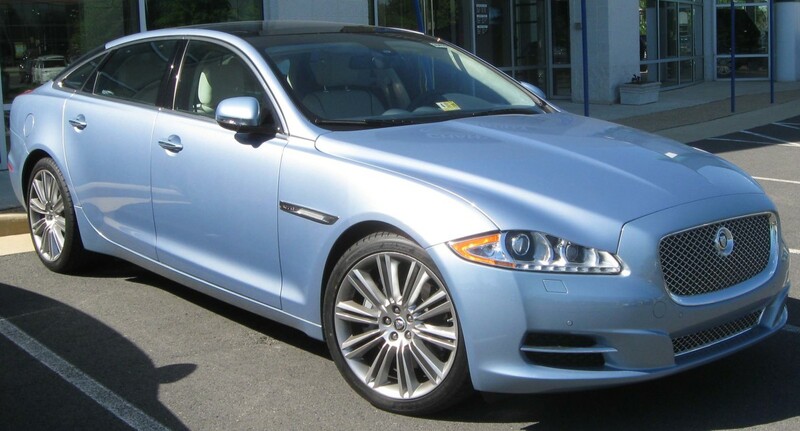 SusieQ42— A brand new Jaguar XF averages around $67,500; a new XJ about $94,500; and a new XK approximately $98,000. Pretty salty. Thank you for visiting and commenting. It is good to hear from you. BTW...Fantastic hub! Great photos and history of the Jag!!! Cardisa— The Jaguar is a beautiful car and a Jaguar is a beautiful cat. Hey, you've got a "Car" right in your name. I hope you hit the big time as an author. In the meantime, thanks for coming! mythicalstorm273— Welcome to the HubPages Community! I will be over soon to check out what you've been writing so far. I love everything about the Jaguar cars, too. And I cannot afford any car—let alone a used Jaguar—on my HubPages salary. Thank you very much for visiting and for your remarks. Mitsubishi makes a fine product. Thank you for visiting my Hub. I appreciate your comments and you are welcome. VENZKHVAM— Welcome to my Hub, Dinesh Nair. I look forward to reading some of your writings soon. I definitely appreciate the voted up and useful. I am well pleased that you enjoyed this article and bookmarked it. Thank you for the accolades. And you are most welcome. Gypsy Willow— Thank you for the kind compliment. You owned a Mark II and a Mark X?! That is awesome. WillStarr— I would have made that trade! Although I must say a 1961 Corvette is a fabulous car in its own right. And gorgeous. John Sarkis— I love cars too, John, especially the Jaguar cars. I am glad you enjoyed this Hub. Thank you for the compliment! Wayne Brown— Thank you for being my first visitor! "I cannot imagine a car mogul at 22 years old producing a vehicle which has last this long...a visionary"
Yes, you are right that there were two fuel tanks on quite a few of the Jaguars. And I think you nailed the reason why. They used to be very heavy cars that sucked up a lot of gas. The lines of most all the Jaguar models do have lovely lines. The fuel economy is far better than in the old days. I enjoyed your thoughtful comments, WB. And you are quite welcome. Nicely complete piece on a wonderful piece of "cardom". I love the look, old and new, but dating myself, I always mourn the loss of a distinctive look that immediately identifies a car. The more updated they become, the more they lose their identity - and that goes for every car on the market. They are, however, still beautiful and inspiring. Great hub - voted up. Doha Ramada, till recently, ran a fleet of red Jaguars as hotel limos, just because the Sheikh who owns the hotel likes the car. Unfortunately there was some dispute with the importer and he changed his fleet to Mercedes almost overnight. Still luxurious of course, but not in the same class. I love this hub. My fave is the 2010 XKR. I love how they updated the model and brought it up to date so they could attract a younger audience.